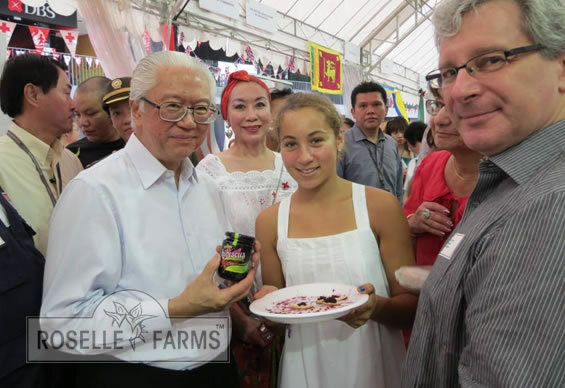 In supporting this meaningful event, Rosellefarms donating Roselle Conserves (confiture) to the French supporters of the Singaporean Red Cross. and the French Ambassador, M Olivier Caron (right). 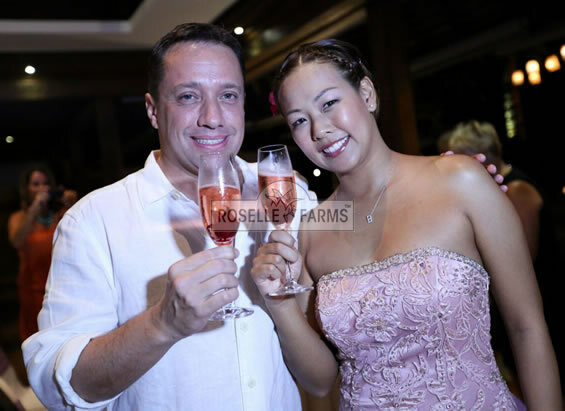 Wen & David toasting champagne at their wedding reception. 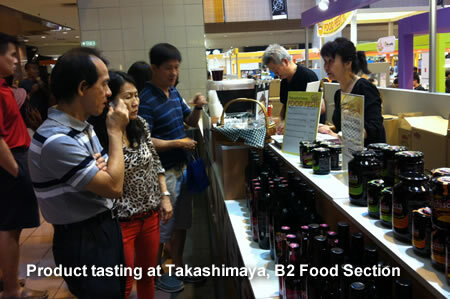 During July-August, we were invited by Takashimaya Singapore to participate in show casing our complete range to their customers in their basement 2 food section. Takashimaya is Singapore's leading department store that stocks high end products. Customers were very enthusiastic about the whole range and exchange ideas freely. Today, our products are placed on their shelves next to Harrod's products behind the cashier.